Yesterday's post about my sumptuous dinner in Taiping was the last of it about my visit to the far, far away land. So here am I, posting a summary about my whole adventure in the peaceful land up north. There are 9 posts in total. From the beginning right to the end; From the sardine-packed traffic jam to the little chameleon that I spotted amongst the green. If you have been reading all my posts all this while, then this will be a rather redundant one for you. But I reckon most of you surely have missed one or two if not more. Ha :D So here's re-cap. 2~Were You Trapped Too Last Thursday? 3~Can You Spot The Little Chameleon? 4~I Love Far, Far Away Land-Taping! 5~What I Did In The Real Farmville? 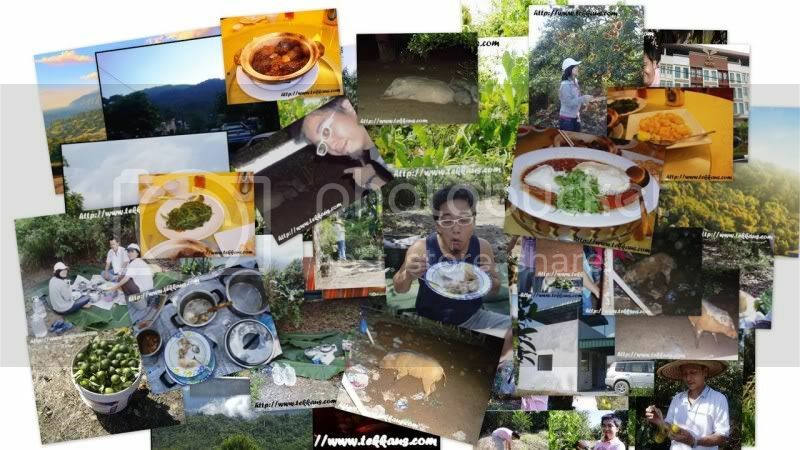 7~Sacred Wild Boars In Kamunting!